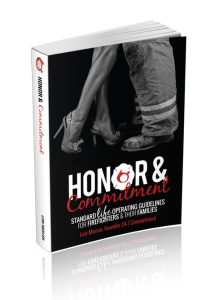 My husband has been a firefighter for well over a decade. In the early years, he worked at many stations and shuffled his gear and bedding from one house to the next in the back of his truck. It got a lot of mileage and fire house dirt tracked all over it. Because of this transient lifestyle, I always sent him with our hand-me-down leftover blankets and sheets. Mismatched. A little hole here or there. Something we wouldn’t miss at home and wouldn’t mind if it got messed up by the dirty fire gear. This year I’ve had a big change of heart. Maybe it’s because he works only at one station now and isn’t dragging his bedding everywhere. Maybe it’s because we’ve both hit our 40’s and our bodies need a little extra attention to feel good. Maybe I should have been caring about this all along and was too caught up in my own selfishness about our home and our family. I’ve realized my firefighter needs a comfortable, relaxing, even luxurious, set of bedding for his bunk at the firehouse. For as many times as he has to get in and out of that bed throughout the night, every time he heads back to it I want him to say “Ahhhhhhhh!” and settle into his nest. Not to be annoyed by the pill covered sheets or the comforter that’s all lumpy or his feet sticking out the end or that musty smell that comes with old blankets. To take this idea even further, you can have a quilt made out of special articles of clothing. Perhaps baby clothes from your children, his favorite old firehouse t-shirts or my favorite, clothing from a loved one who has passed away. One of the best ways I’ve ever heard to keep alive the memory of a loved one was to have quilts made out of their bathrobes, night gowns, favorite t-shirts. Then everyone in the family can literally hold onto a little piece of Grandma, Grandpa, Mom or Dad. 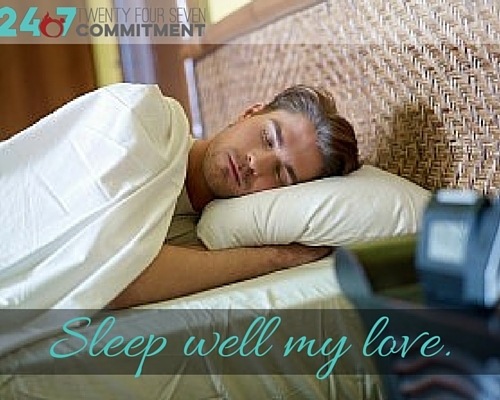 There’s no place like home and the bed you and your husband share together. But if you can give him that same comfort when he falls asleep at the firehouse, you’ll definitely be his last thought as he drifts off to sleep each night. 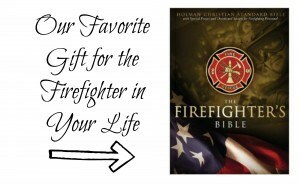 Find our favorite bedding choices for all the big and little firefighters in your life here. Where else can you laugh about Murphy’s Law on shift night or the hour-long wait at the station to see your firefighter for a whole 2 minutes? With other fire wives, of course! Join the Fire Wife Sisterhood to laugh together, but also to get advice or support through the challenges the fire life brings. 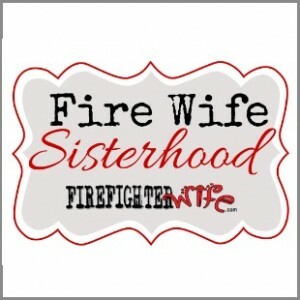 Connect with the sisterhood of the fire wives across the country, any time day or night, and make lifelong friends. Two Christmas’s ago I decided since he came home so drained and sore from not sleeping well I invested in a Visco mattress topper a Temper pedic pillow and a set of sheets all for him. It has made a difference in his sleeping at the firehouse between tones. The first year of our marriage I realized how sad his firehouse bedding was, and decided to make him a quilt. It’s red, cream, and blue and he came along to help pick out the quilting pattern on the top. I did machine stitching so that it can be washed and washed and still look good! He LOVED it. He bragged about it at the station for weeks… and still does. 🙂 Makes me feel like he is wrapped in my love each night – for whatever moments he gets to sleep. I actually got this idea from our website when I joined the group. We were going through a really rough time in our marriage and one of the ladies on here suggested doing this as just as a way to say you care. I did it and at first he was kind of like o.k. because it took them to him at fire house but when he got home the next he said thank you he has really enjoyed them.